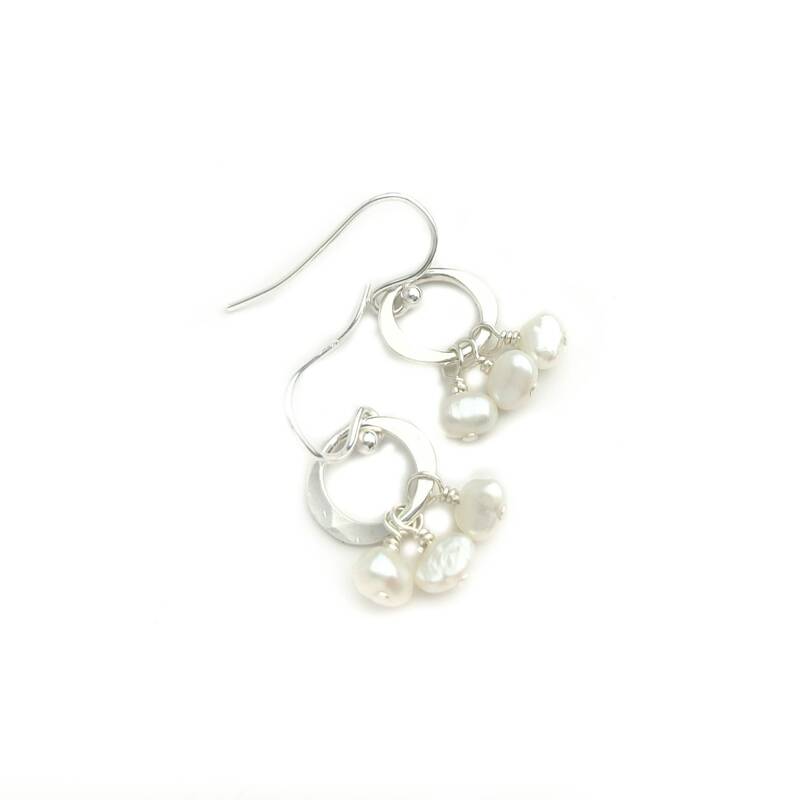 * Total length including the earwires is just under 1", they drop .75" from the ear. 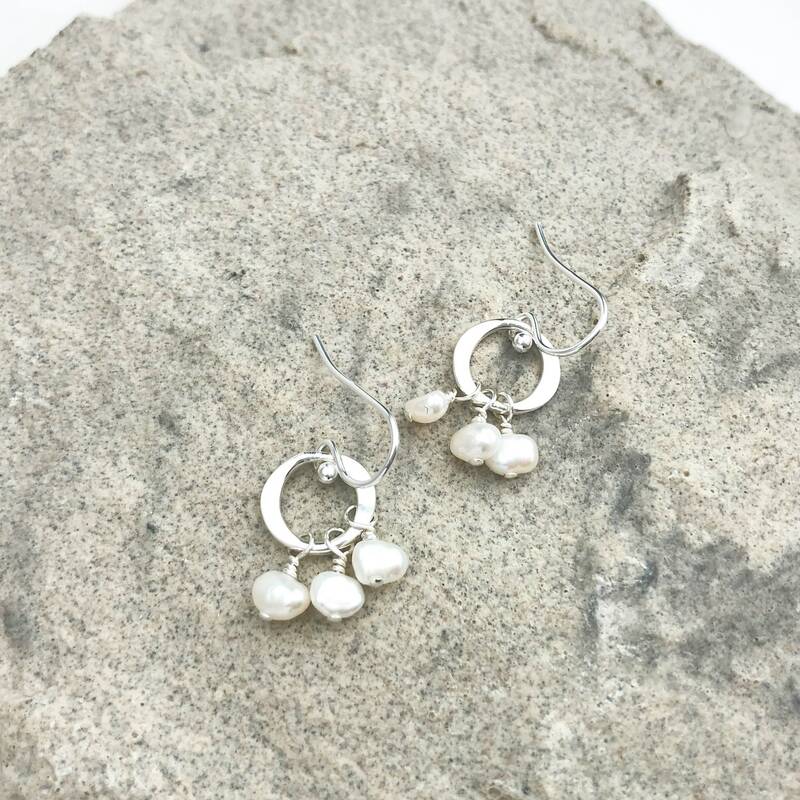 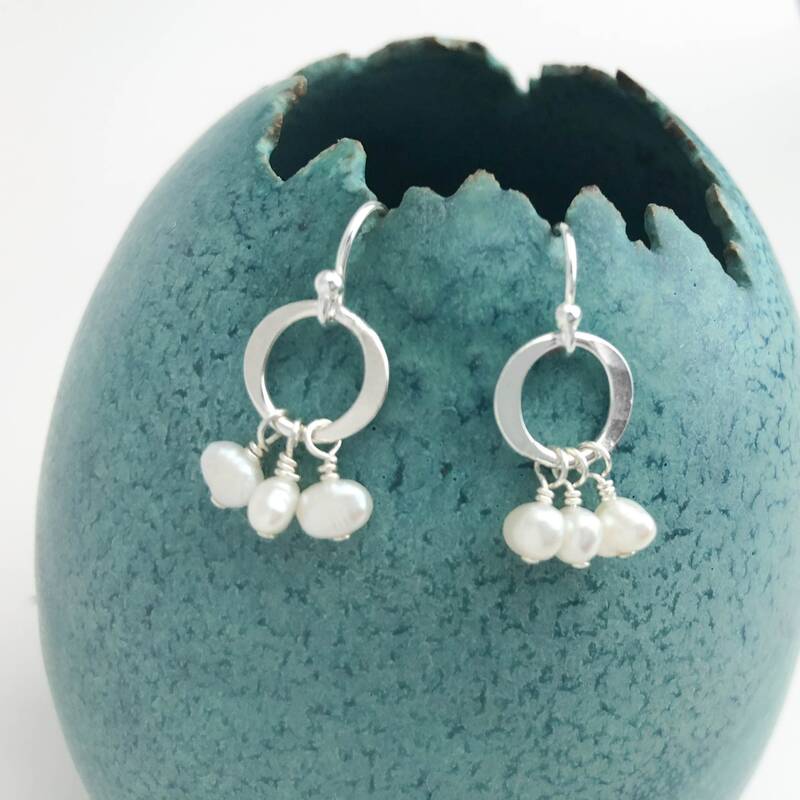 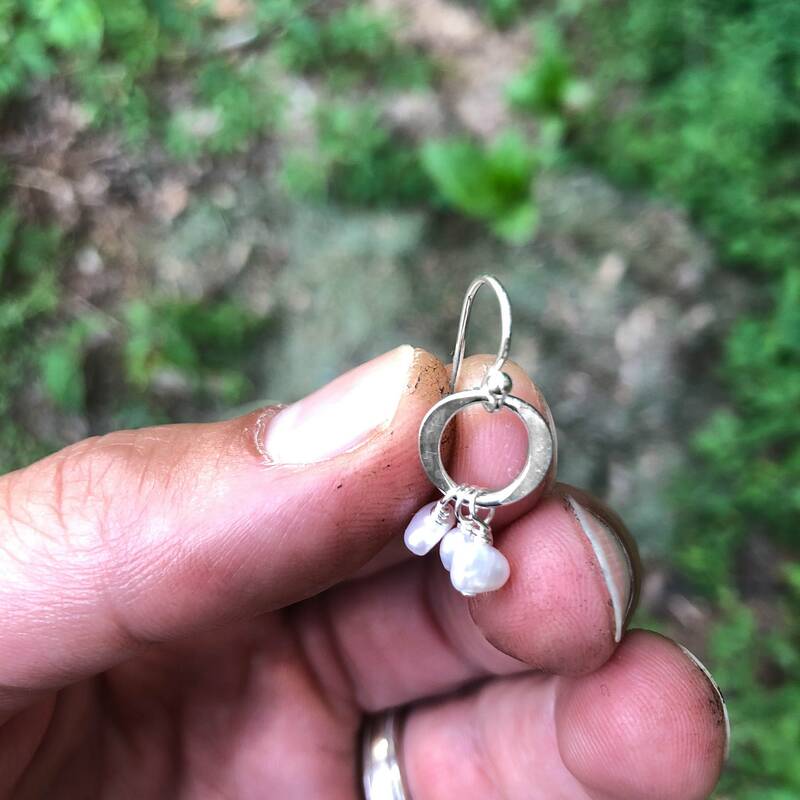 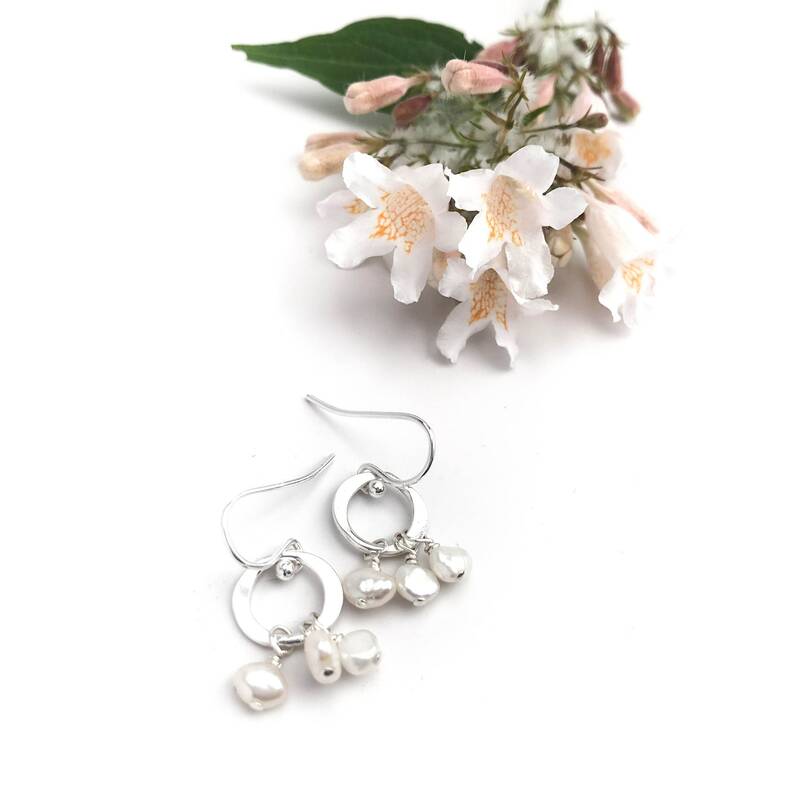 These small earrings are handmade with natural freshwater pearls and nickel free sterling silver. 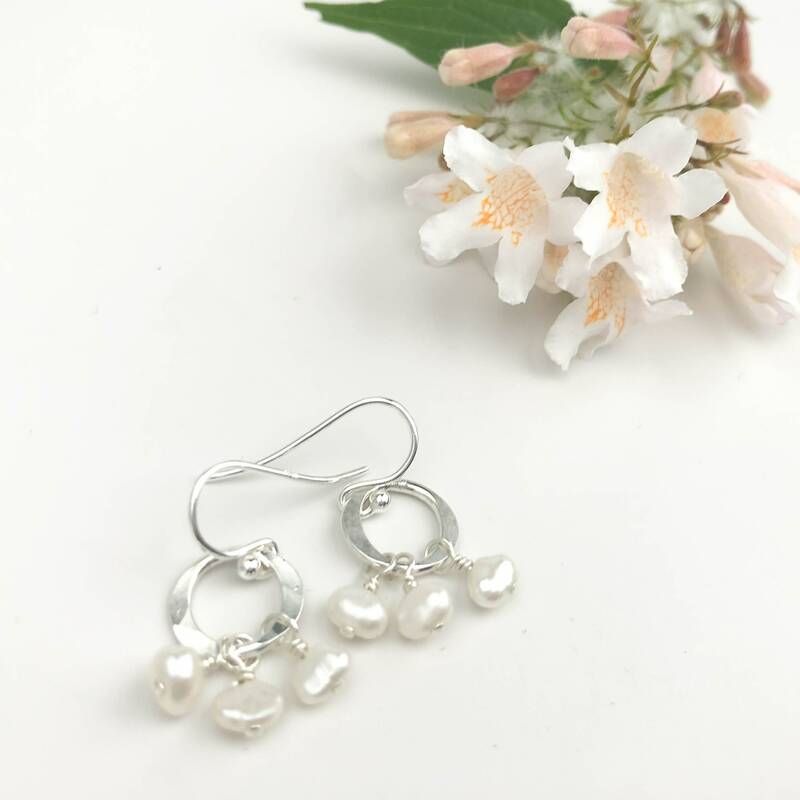 Designed to be lightweight and comfortable to wear, these are the perfect everyday earrings! 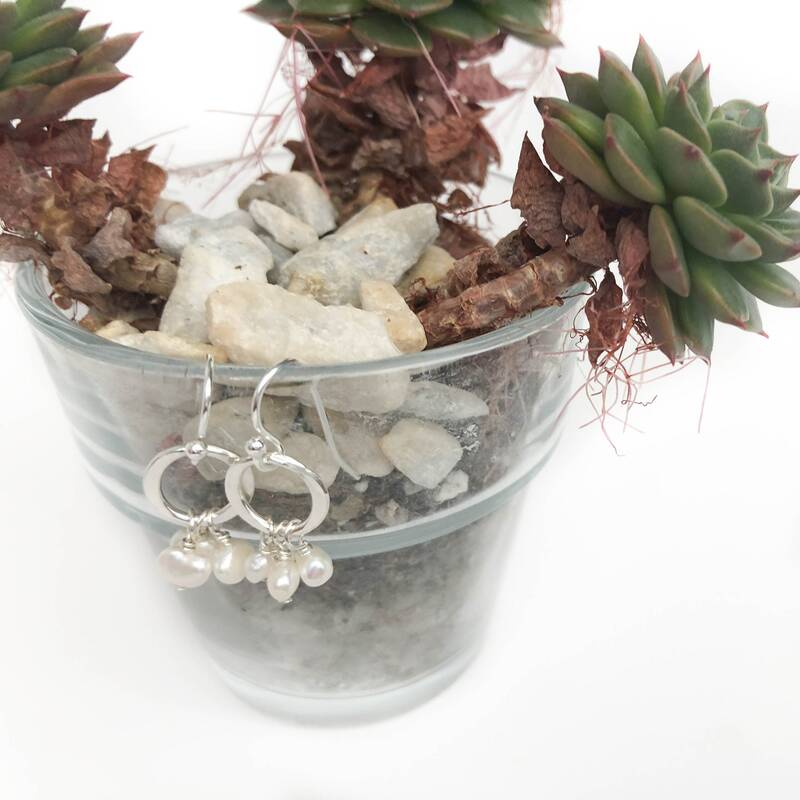 The silver links are hand hammered for texture and polished to a high shine to catch the light just right. 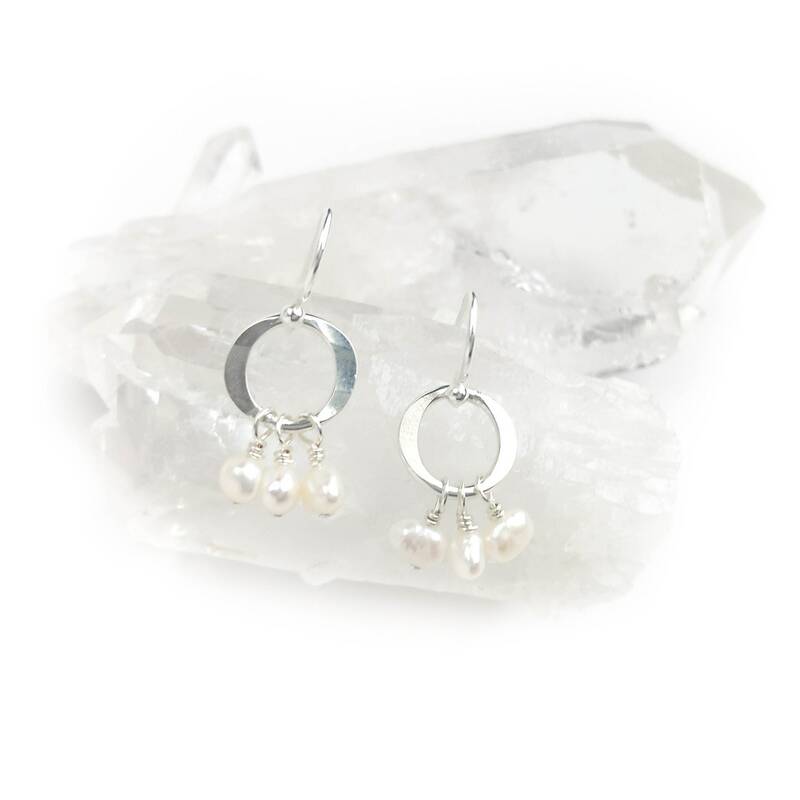 Three small pearl dangles provide subtle movement and a beautiful luster. 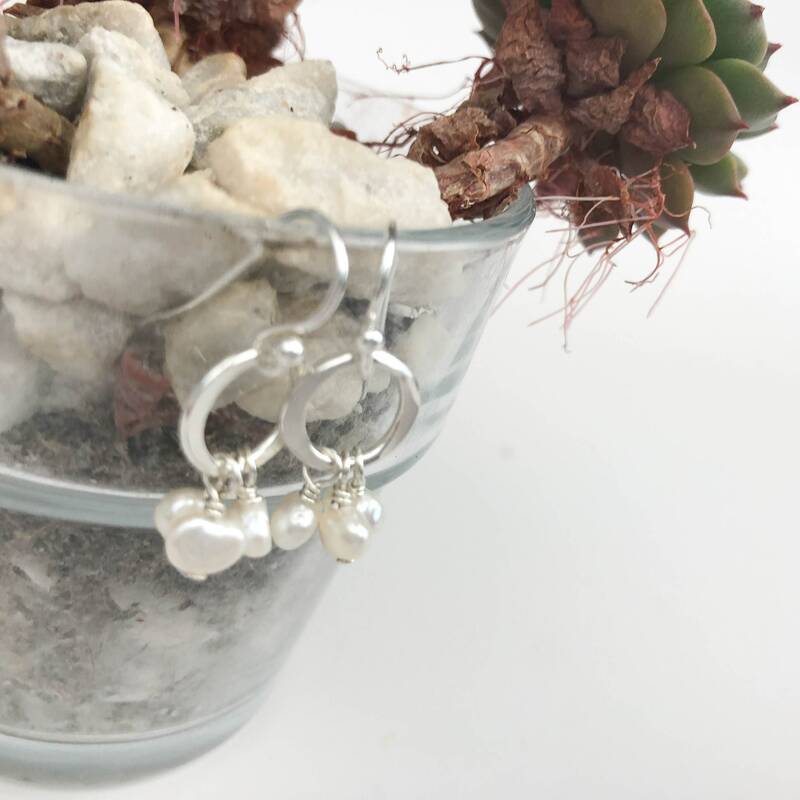 These earrings make a big statement without being big statement pieces: beautiful pieces that wow for a casual outing or a night out!